I traveled with the kiddos from CA to FL at the beginning of the month so that they could visit with my mother and her husband. They usually only see the "FL grandma" about once a year which is not great but at least it's something. Since my mother came to CA for Mason's birthday party in August 2013, this was a treat because it was only 7 months since she saw the kiddos. My mother called me right after we left to tell me that her husband cleaned out his car and tossed the cards that Kenzie made for her and was devastated because she wanted to display them proudly in her home. I decided it would be fun for Kenzie to make an Easter card garland to mail to her FL grandma to display in her home using Hallmark cards. 1. Let your child choose their special Hallmark cards to doodle and write on for their loved ones. 2. 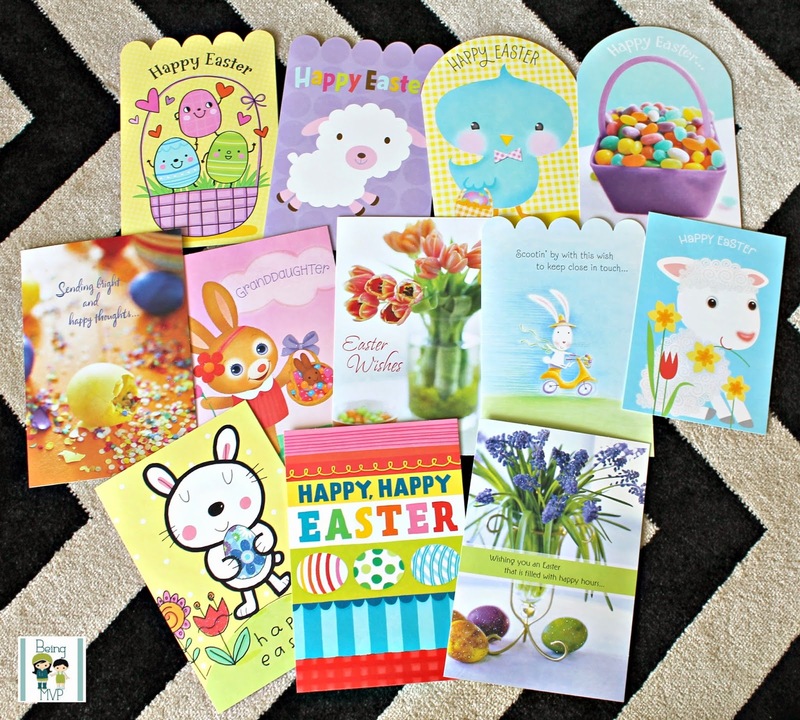 Take some of the Hallmark cards and use your cutting machine or punch (or use my FREE PRINTABLE) to cute out cute Easter silhouettes. 3. Take the completed cards from your child and punch a hole on the top of each. 4. Lay out your twine and arrange the cards and Hallmark card cutouts however you like. 5. Weave the twine through each card but leave a little space in between each. 6. Wrap a small piece of washi over the twine and use your scissors to snip into a flag shape. 7. Knot the ends of the twine and it's ready to mail for hanging! 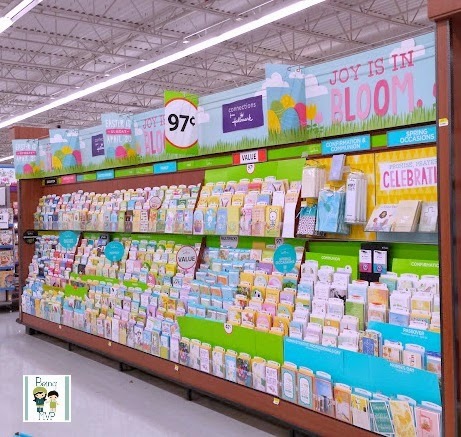 Since the Hallmark #EasterValue cards from Walmart start at only $0.47 each, you can grab an entire stack to create fun garlands for everyone that you want to send a treat to. If you sign up for the free Hallmark Card Rewards Program, for every 5 cards you buy, you'll earn a reward! You are already purchasing cards for an occasion so it's a bonus that you get a reward right? So what are you waiting for? 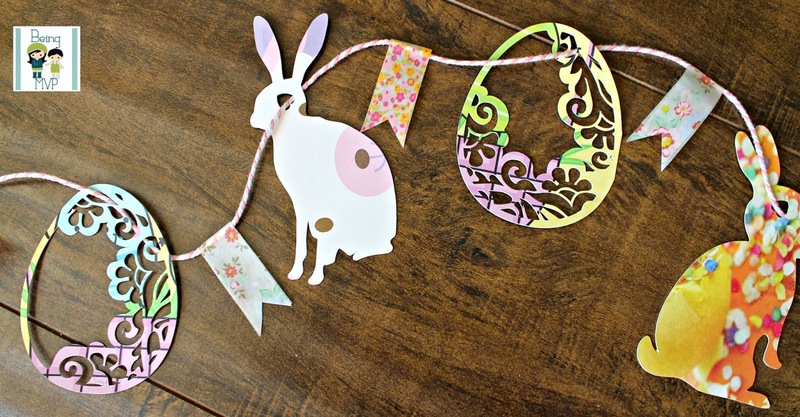 Head to Walmart to pick up some fun cards to make this super easy garland for sharing during the Easter season! Make sure you check out connectionsfromhallmark.com to sign up for Hallmark Rewards, and to see great content from other bloggers. Join in the #EasterValue conversation on Twitter! This is simply adorable! my girls would love to do this! 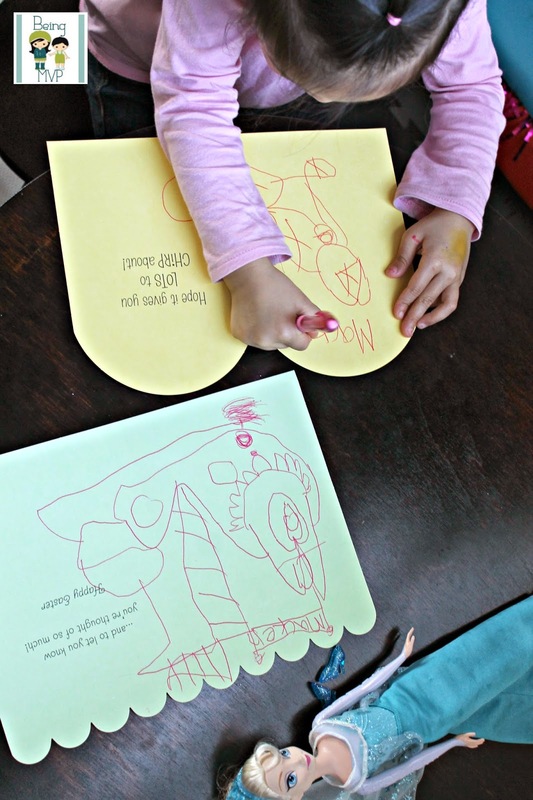 love the idea of having them doodle on their cards too! Great idea to use the cards. I love it, simple and do able. What a cute idea very crafty of you! This would make a great decoration for Easter. I love the garland idea! A great way to display the Hallmark cards. What an adorable idea! 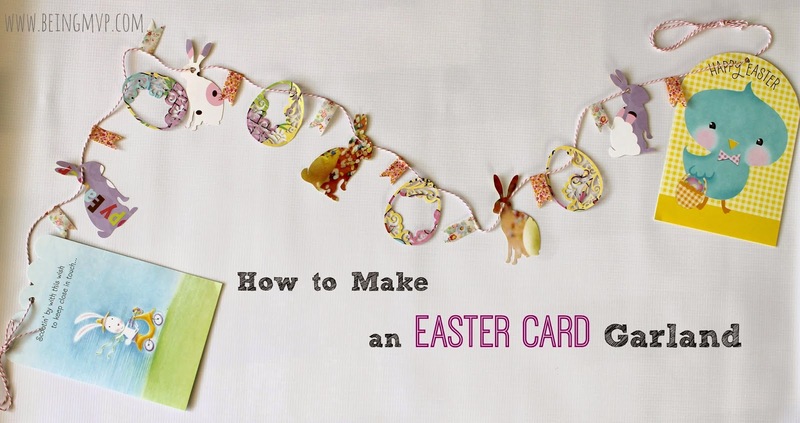 I would have never thought to make Easter garland. I have 2 boxes of cards and way too many that I will never use, this would be perfect for that! What an adorable little craft. I love it and thank you for sharing. Are the egg cutouts a puncher? Where did you get it? I love those cutting machines, they make such cool paper crafts. Oh these are so pretty!! What an amazing idea!! We are definitely doing this next year!! Thanks for the amazing idea! !